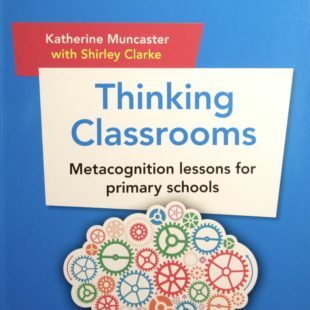 Thinking Classrooms - Metacognition lessons for primary schools - Shirley Clarke Media Ltd.
Practising teacher and growth mindset expert Katherine Muncaster has worked with bestselling formative assessment expert Shirley Clarke to develop these easy-to-use lessons which encourage primary school children to think about thinking, know what learning means, and take charge of their learning because of that knowledge. A detailed introduction on metacognition and learning powers. Practical classroom activities and strategies to develop metacognition and an effective learning culture. Six lessons for every year group, which explore metacognition in a range of different contexts. Accompanying easy-to-access video clips that provide demonstrations of the impact of this approach in lessons.